The months are flying by and we’re entering the second to last one of the year. You’re probably busy with menu changes, events, and just the typical hustle and bustle of a crowded dining room. We want to make your life as a restaurant owner easier by providing you with marketing ideas to use in November. 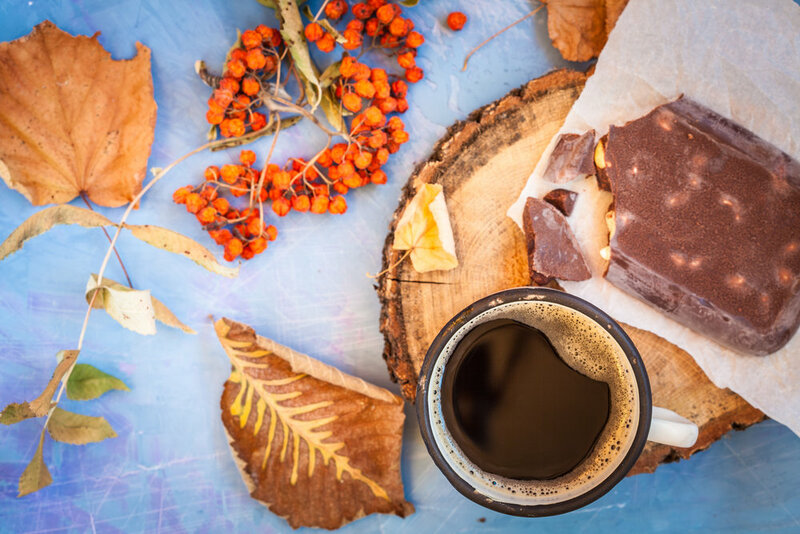 Read on for November marketing ideas to fill seats in your restaurant. The Vegan Society was established in 1994 and has been celebrating World Vegan Day on November 1st ever since. The entire month is celebrated by the society as a way to commemorate how the vegan movement has progressed. If you’re a vegan restaurant, this is the perfect opportunity to celebrate! Run promotions, offer prizes, and introduce a limited-time menu for the day (or the entire month). 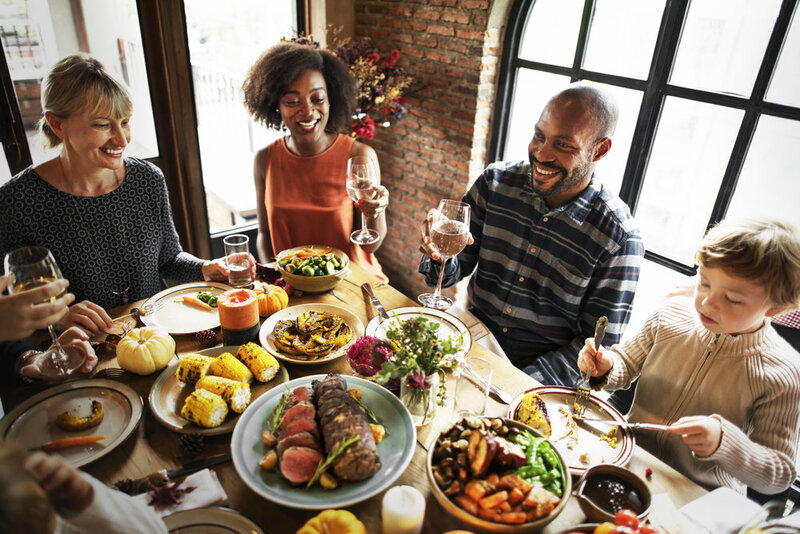 If you’re not a vegan restaurant, you might still consider celebrating the holiday by offering discounts on your vegan menu items or offering an entirely vegan menu for the day. 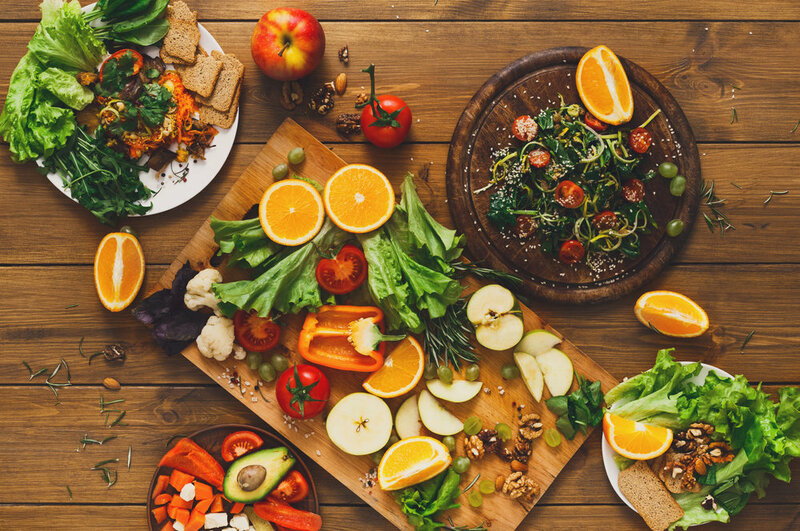 Get creative and educate your guests on The Vegan Society and World Vegan Day. There is a lot of history and news associated with veganism. This is a great way to spark a conversation about the impact the movement has had. You can incorporate social media efforts as well. Ask guests about their experience with veganism, what made them go vegan, or what some of their favorite vegan meals are. You can post customer highlights on your social media pages throughout the month and tag all relevant trending hashtags for more exposure. Just two days later, on November 3rd, is World Sandwich Day. Whether it’s a PB&J, a Philly Cheesesteak, or an Italian submarine, sandwich lovers rejoice! If you serve up sandwiches, offer a buy-one-get-one deal on select, or even all, sandwiches on your menu. Create combos to sweeten the deal, offering a side of chips and a drink for a low price. 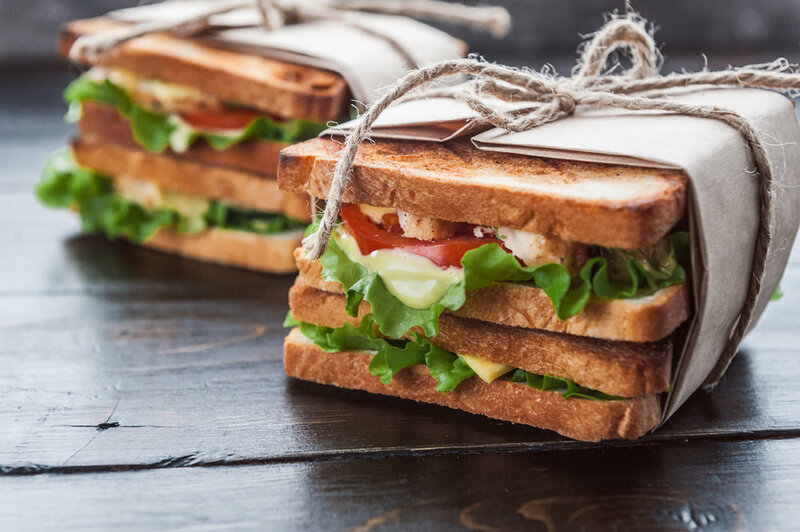 Make the celebration fun by creating a “World Sandwich Day” exclusive sandwich. Give the guests who order the item a discount card or code to be used for next time. This inspires repeat business through incentive. You should start advertising for this holiday soon to create buzz and excitement. Send out a fun email blast letting customers know you’ll be celebrating on November 3rd. Spread the word on social media and post an announcement on your SinglePage menu. If you’ve found success with direct mail, send out coupon cards to redeem in-store on November 3rd only. Testing out different marketing strategies can help bring in more business. Remember, our new Holiday Calendar keeps you informed of all upcoming holidays relevant to your restaurant. Learn more about it here. If you didn’t ring in fall in September or October, it’s not too late! Host a fall festival or usher in the holiday season with a holiday bash. Offer guests complimentary cider and sweets, provide entertainment, and throw in a few contests or giveaways. Plan this event at a time that’s typically slow for your business to get the most out of the gathering. Get people excited about upcoming holiday celebrations, surprise them with a seasonal menu, and give them a reason to leave the couch during hibernation season. Arguably the most celebrated and most filling holiday of the month, Thanksgiving is taking place on November 22nd this year. Although many people cook their turkey and stuffing at home, some have made a tradition of dining out for the holiday. In fact, the NRA found that in 2017, 1 out of 10 adults (9%) were planning to go to a restaurant for Thanksgiving. If you’re open to serving guests on Thanksgiving, make sure they’re aware of it. If they haven’t already, people will soon be making reservations for the feast. There are limited dining options with some restaurants choosing to close for the day, so inform guests of your availability. Make sure your hours of operation are correct online so people can plan accordingly. Are there any other elements that help you stand out as the place to be on Thanksgiving? Maybe you’re streaming the Macy’s Day Parade or the sought-after football games. People are looking to celebrate by continuing the traditions they’ve had for years. Let them know about the entertainment you’ll be offering. Social media, your website, and emails are all great ways to keep guests informed. Riding on the coattails of Thanksgiving is Small Business Saturday on November 24th. Black Friday kicks off the holiday shopping season as a whole, but Small Business Saturday is a way to inspire communities to support their local businesses. It is supported and marketed by American Express; they even provide free marketing materials that you can use. Although you’re not a retail business, you can still participate. If you want to get involved by providing specials to people looking for a break from their shopping journey, go for it. Coffee, snack, and lunch specials can go a long way when serving hungry shoppers. Do you offer holiday gift baskets, gift cards, or other items around this time of year? Promote the sale ahead of Saturday. You can even put up a sidewalk sign letting passersby know that you may just have the perfect gift. Participating in Small Business Saturday is a great way to interact with your community and attract more business. In fact, according to Business Wire, 90% of consumers have noted that Small Business Saturday has had a positive impact on their community. Kick off the holiday season by getting involved this November. The calendar keeps turning and November is just days away. Plan your marketing strategies for the month now to get a head start on attracting customers to dine with you. 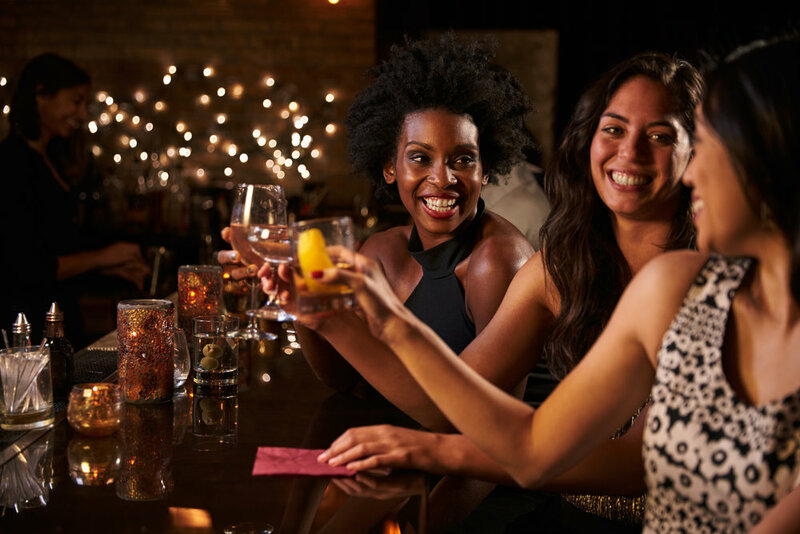 There are plenty of holidays to recognize and events to host in order to make the most out of the month. 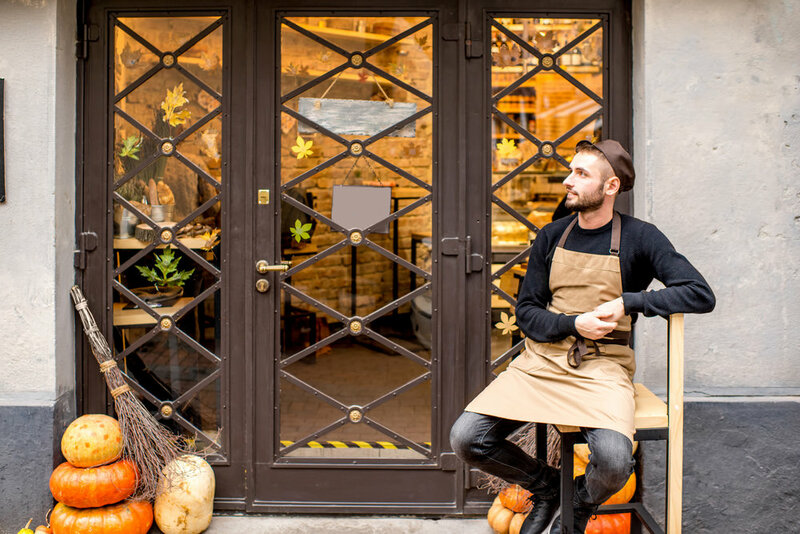 Use these restaurant marketing ideas for November to inspire new business. Interested in other generic restaurant marketing ideas? Check out our 9 Simple Restaurant Marketing Ideas blog.